Last week was the official start of fall, but you can’t tell from the weather. It was warm and sunny this afternoon so I left my office early to take photos of some pillows. 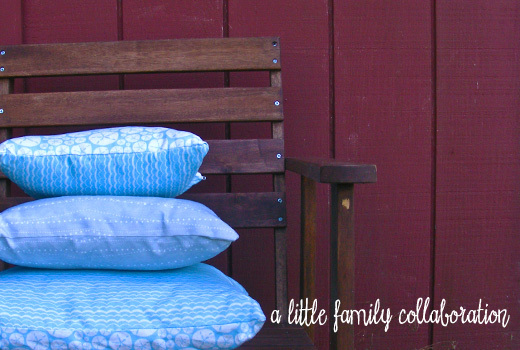 These pillows are a little collaboration between my mom and I. I designed the fabric and had it printed – my mom then sewed them up. I think that she made more test pillows with scrap fabric than final pillows with my fabric, but I love how they came out. There are only 5 pillows left after selling them at a fair this summer. I plan on listing the ones I still have in my etsy shop some time this week. 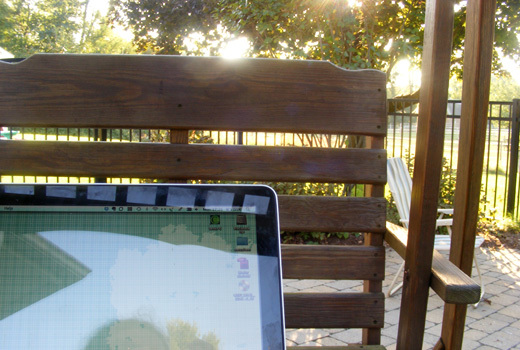 Since it was so nice out today I ended up working outside here for a little while (until the mosquitos came out). love the shot…just got it!